For those who wish to pay their respects, Fairnie’s grave is in the churchyard of St Bridget’s Church, Chelvey, North Somerset, between Bristol and Weston-Super-Mare, just off the A370. If driving from Bristol, go through Backwell and, at the end of the town, turn right at the Chelvey sign into Chelvey road. Keep on the same road until you see the church. If driving from Weston-Super-Mare, turn left at the Brockley traffic lights into Littlewood Lane. Continue on this road until a T-junction and turn left. 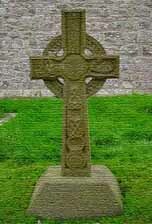 The grave is just to the right as you enter the churchyard, with a celtic cross headstone.